Provide comfort for the family of Sybil Singleton with a meaningful gesture of sympathy. Sybil Ann Singleton age 92 of Sweet Water, AL died February 3, 2019 at Grove Hill Memorial Hospital. She was born August 19, 1926 in Sweet Water, AL to Aubrey and Myrtle Jordan. She was former inspector for Soloman Brothers Manufacturing and sales clerk at Martins. She was a member of Sweet Water Baptist Church. She is survived by her daughter, Audrey S. Gibbs; two grandchildren and five great grandchildren. She was preceded in death by her husband, Clifford Singleton. Visitation will be held at Sweet Water Baptist Church on Wednesday, February 6, 2019 from 10:00 am until the 11:00 am service time. Burial will follow at Sweet Water Cemetery. 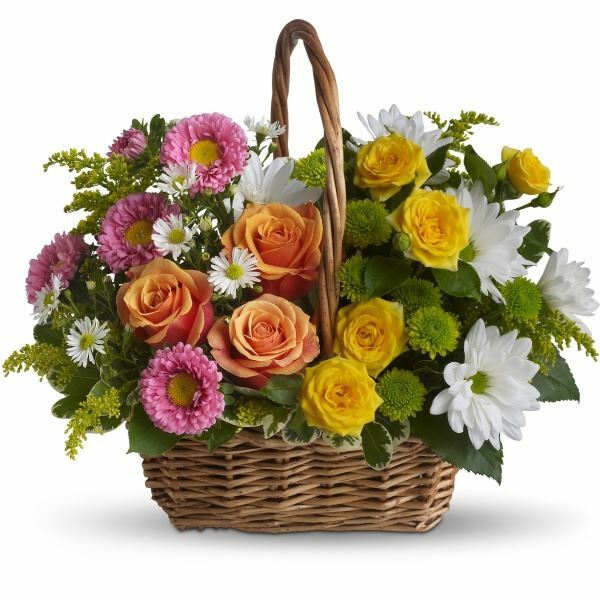 To send flowers in memory of Sybil Ann Singleton, please visit our Heartfelt Sympathies Store. Ken and Margaret Agee sent flowers to the family of Sybil Ann Singleton. "Sybil Singleton" will remain in our hearts forever. Ken and Margaret Agee purchased flowers for the family of Sybil Singleton.